Fire? ServRite of South Jersey Fire Damage Restoration service will help restore your premises and possessions to pre-disaster condition. Once the fire is out and you’re safe, call us. Do not walk on carpet or sit on furniture unless absolutely necessary. Do not attempt to wipe or wash walls, floors, or other surfaces. Discard any food items which may have been exposed to fire, smoke, or heat. Do not use any appliances. Destroy all prescription medications. If you are currently taking medication, call your doctor for a new prescription. We want to restore not only your property but also your peace of mind. We want you to move past this difficult time and rebuild your life, reopen your business, regain your stride. Let us know what we can do to help you get your life back in order. We provide free consultation and damage appraisal. We take immediate preservation steps with items such as documents and electronic records to prevent further deterioration. We provide storage services for items that may need to be temporarily removed from the premises. In cases of commercial property, we strive to get you back up and open for business quickly. We also help families and businesses reduce the damage of future events with a customized disaster recovery plan. We can help you feel safer and reduce possible restoration time and financial loss in case of fire, flood, storm, or community wide emergency. When it comes to recovery, ServRite of South Jersey has got you covered. ServriteNJ offers multiple services to help you clean and restore your home. 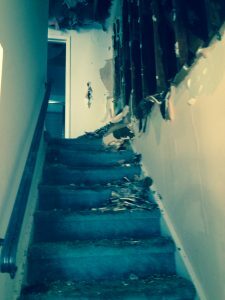 Please visit the following pages to discover how we can help you with the following services water damage repair NJ, mold removal New Jersey, Southern NJ air duct cleaning, Southern NJ dryer vent cleaning or South Jersey Carpet cleaning.